William Kolbrener is Chair of the English Literature at Bar Ilan University in Israel, and an internationally renowned expert on Renaissance Literature and particularly the English poet, John Milton. His work on the contemporary Israeli scene has appeared in the Jewish Daily Forward, Haaretz, the Atlantic, and the Washington Post. Kolbrener's scholarship has been recognized by the Woodrow Wilson Foundation, the Israel Science Foundation, the Einstein Forum, the Milton Society of America, and the Society for Early Modern Women. 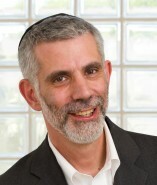 His diverse scholarly works on psychoanalysis, the Talmud and Reformation theology have appeared in a variety of forums and his most recent book, Open Minded Torah: Of Irony, Fundamentalism and Love was published by Continuum in 2011. Kolbrener's introduction to the Shalem translation of Milton's Areopagitica is forthcoming this month. Who Is Yair Lapid, and Why Should We Care?